Mary Beth concentrates her practice in the area of workers’ compensation. Her experience also includes general civil litigation. Mary Beth works with clients in a broad range of industries to aggressively defend workers’ compensation claims. Her experience includes representing employers and insurance carriers on large and small claims by performing case assessments, trying cases to administrative law judges, and preparing briefs for review before the Labor and Industry Review Commission, Circuit Court, Court of Appeals and Supreme Court. She counsels employers throughout the work-injury process on designing and executing creative strategies to prevent litigation and reduce costs, investigating injuries, making employment decisions and more. Mary Beth’s experience also includes representing entities paying workers’ compensation benefits in third-party Circuit Court and District Court matters, including preparing pleadings, making court appearances and participating in mediations. 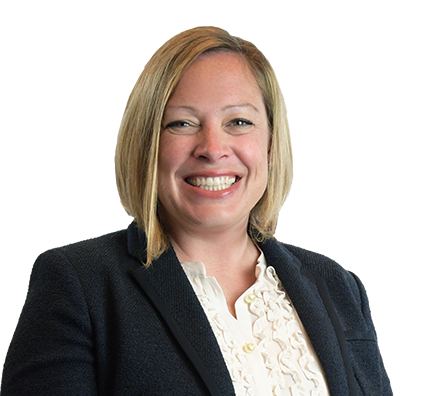 A frequent speaker on the topic of workers’ compensation law, Mary Beth has prepared materials for and spoken at numerous CLE seminars and presentations for insurance carriers and employers. She also speaks on the changes to the Medicare Secondary Payor Act and the impact on workers’ compensation issues. Defended employer through administrative hearing and appeal from a claim by an employee for permanent total disability. Obtained favorable decision of no liability and zero damages. Consulted with employers on classification of employees as independent contractors and specific employment positions to ensure accurate insurance coverage. Strategized with employers involved in litigation of potential work injury claims to secure resolution of both workers’ compensation and non-workers’ compensation claims. Worked with employers on a settlement level to achieve global release of all claims concurrent with workers’ compensation settlement. Advised clients on potential exposures from workers’ compensation claims in preparation for merger or purchase of company.